The announcement on the appointment of Spurs' new manager is expected at the beginning of July. Media sources continue to produce conflicting reports on his identity but are agreed that a deal has been done. Further press speculation has mixed news on players - new signings, possible departures and injury concerns. Today's papers allow you to make a choice when deciding on who will be appointed to replace Harry Redknapp as Tottenham manager in the coming days. 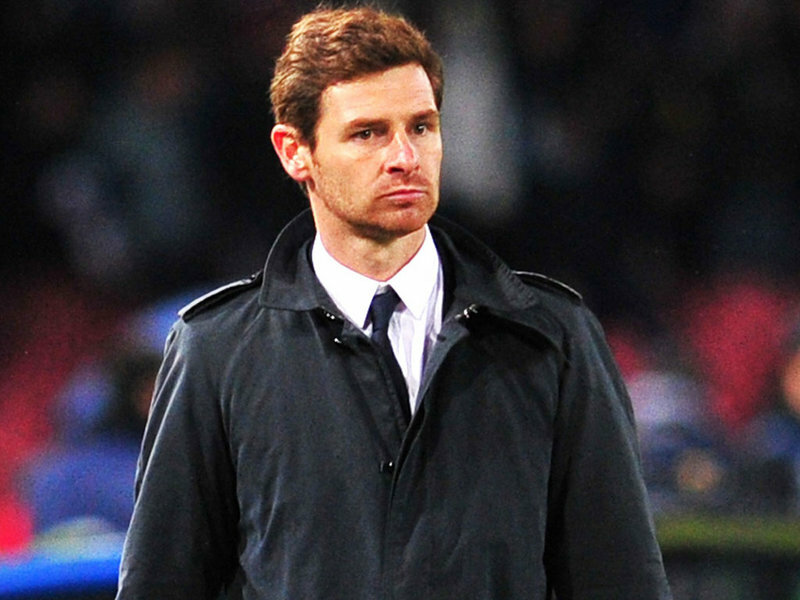 The Mirror reports that an agreement has been reached with Andre Villas-Boas to take over on 1st July. The date would tie in with the end of the agreement that AVB reached with his former club, Chelsea, when he left Stamford Bridge in March. It is also reported on Sky Sports that AVB has turned down the opportunity to become manager of Sao Paulo in Brazil, according to their Director of Football. A report in Le Monde suggests that Laurent Blanc will take over at White Hart Lane, his contract with the French national due to expire at the end of the Euro2012 Championships where France were eliminated at the quarter final stage in a two goal defeat by Spain. Didier Deschamps would then replace Blanc as manager of his country. While both stories are credible, Andre Villas-Boas would appear to be the more likely choice for Daniel Levy. It will be a high risk appointment, in light of Villas-Boas' problems at Chelsea so fresh in everyone's mind. It is thought that Spurs have moved ahead of Liverpool in the race to sign midfielder Gylfi Sigurdsson from Hoffenheim. It was thought that Sigurdsson who played under Brendon Rodgers at Swansea last season would join his manager at Anfield. Liverpool had reached agreement with Hoffenheim but Spurs have now offered improved terms to the Icelandic international who scored seven goals in eighteen Premier League appearances last season while on loan with the Welsh club. These would be good signings for Tottenham, Sigurdsson impressed with Swansea last year and he would bring greater energy and pace to central midfield. Vertonghen would be a replacement in central defence for the ageing and injury prone pair of Ledley King and William Gallas, while also able to cove rat left back. Reports in the Daily Mail suggest that Rafael Van der Vaart may be on his way to his former club, Hamburg. With the departure of Harry Redknapp, this was always a possibility. Van der Vaart has sometimes been difficult to fit into a balanced team - his goals and flashes of inspiration were amazing but it is something that may have to be sacrificed for the greater need of the team. Speculation and reported comments are paving the way for Luka Modric to depart for Real Madrid during the summer. This is only to be expected. After the problems of last summer, Modric was very unlikely to remain for another year, even with Champions League football and now without it at White Hart Lane, it gives him the perfect excuse to move on - Spain will be fine. Parker worked tirelessly for Spurs and England throughout the season and he looked totally exhausted when leaving the field in that last match against Italy. He went into the competition having missed matches for Spurs at the end of the season and with England suffering other injuries in midfield Parker had to soldier on so it is not a surprise that he now requires surgery. Sandro and Jake Livermore will now have the opportunity to impress the new manager in the opening weeks of the season. Who do you expect to be appointed as manager and do you think Spurs will be better off without Van der Vaart? With continuing speculation that Andre Villas-Boas will be the next Tottenham manager, this is an excellent and very interesting and informative article written by TPiMBW for the English Premier League Index website. It provides great insight into how a Andre Villas-Boas sets up his team and how it could work for Tottenham if he were to be appointed manager. Amid all the uncertainty, this provides a glimmer of hope for doubters, like myself, who only know of AVB from his time at Stamford Bridge with a passing awareness of his great success with Porto. What would an Andre Villas-Boas Tottenham Hotspur look like? With the high probability of Andre Villas Boas becoming the new Tottenham Hotspur manager in the near future, TPiMBW has taken an objective step back from his recent Chelsea venture to analyse just how Andre Villas Boas proposes that his teams play their football. English Premier League fans may be aware that he possesses facial hair styled to perfection and presents himself as the immaculate gentleman, but his time at Chelsea didn’t present him with the opportunity to get his concepts across – Tottenham however, is a whole different proposition. 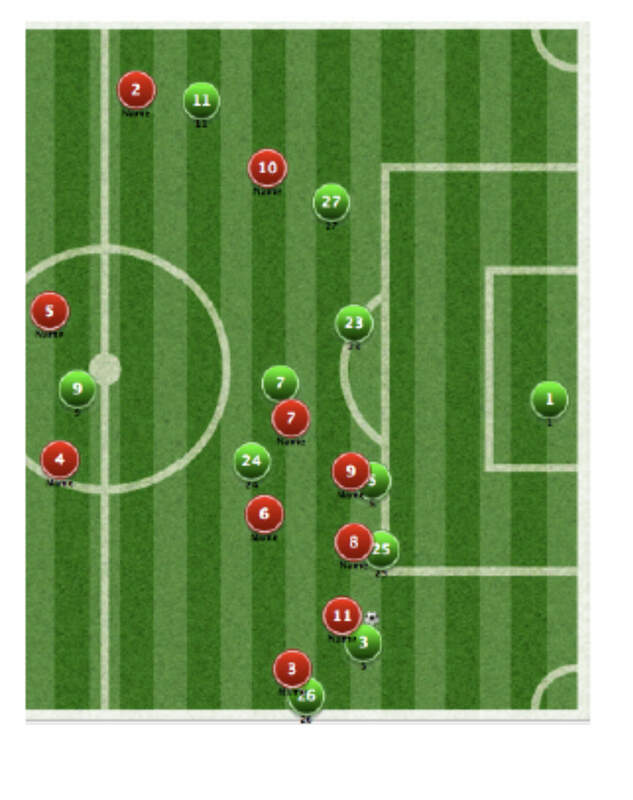 While the formation above shows both Modric and Van der Vaart both within the midfield axis, it is likely that Sandro will have a larger role to play. However, during AVB’s Porto days he played both Mourinho and Fredy Guarin in the same midfield - possibly suggesting that given he expects his team to be in possession more often than not, two ball playing midfielders would be acceptable. Tottenham's opening match away to Newcastle United presents the new manager with quite a challenge but it is one that has been overcome in the past in similar circumstances. Go back to August, 1993 and Ossie Ardiles had replaced Terry Venables - he took Spurs to Newcastle for his first game in charge on the opening day of the season and a Teddy Sheringham goal was enough to bring Spurs the win. NB: The dates of the matches marked ** will be changed because of Europa League matches the previous Thursday. Can the Prospective Managers Do Better than Redknapp? The removal of Harry Redknapp from Tottenham has resulted in the immediate drawing up of a list of potential managers to fill the vacancy. Do their credentials suggest that any one of them is capable of doing better than the departing Redknapp and taking Spurs to the 'next' level? The immediate favourite among the 'bookies' was the Everton manager, David Moyes, with Wigan's Roberto Martinez also highly regarded. Other names which were prominent on the list were former Spurs player, Jurgen Klinsmann, Fabio Capello, Sven-Goran Eriksson and the man who is looking increasingly like the next Tottenham manager, Andre Villas-Boas. Other names to be mentioned in dispatches included Alan Pardew, Glenn Hoddle, Laurent Blanc, Didier Deschamps, Pep Guardiola and Slavin Bilic among others. As I've blogged previously, Why David Moyes? He has done a good job during ten years at Everton with a limited budget but has never won a trophy and on the one occasion that Everton did qualify for the Champions League, they failed to reach the Group stages and were then knocked out of the UEFA Cup prior to the group stages. Moyes' teams are hard-working and have always been well-drilled and organised defensively but there has been a lack of the style of football that a Spurs' manager is expected to produce. As Irving Scholar stated in his book, 'Behind Closed Doors', when considering a replacement for Keith Burkinshaw, the requirements for a Tottenham manager were 'winning and entertaining' football. Martinez has worked miracles to keep Wigan Athletic in the Premier League over the past three seasons when they have finished fifteenth, sixteenth and fifteenth. In the past two seasons Wigan have been among the favourites for relegation until a late revival has saved them. Only at the death have his teams produced the results. They are capable of playing good football but have also suffered heavy losses. As well as the 1 - 9 defeat at White Hart Lane in November, 2009 their final match of that season ended in an eight goal defeat at Chelsea. The following season started with Wigan conceding ten goals in their opening two games at home to Blackpool and Chelsea. They did turn it around with a single goal victory at Spurs in their next game. Their survival in the Premier League was due to taking eight points from their final four matches of that season. Hardly, impelling credentials for a Tottenham manager. Klinsmann impressed in international management with Germany but only remained for two years. His time with Bayern Munich was ended in less than a year due to a difference of opinion with the Board of Directors. He has been manager of the American national team since last August. Klinsmann has been mentioned before when Spurs have been looking for a new manager but the arguments against him then are still applicable. He is always looking for new challenges as he did as a player, sampling football in different Leagues around Europe. There would never be any certainty that he would see the job through and then his problem with the Bayern Board doesn't bode well for establishing a good working relationship with Daniel Levy and co. He has an excellent record in club football with nine League titles in Italy and Spain. However, he has never managed in Premier League and his time with England raised the problem of his communication skills due to his lack of fluency in English. It would be a rather ironic appointment if the man Redknapp had expected to replace as England manager were to be his successor at White Hart Lane. Eriksson is another foreign manager with an exceptional record in club football across Europe. He could have had the position at White Hart Lane in 1997 if Alan Sugar had known anything about him. Harry Harris writes in his book, 'Hold the Front Page' that he received word that Sven-Goran Eriksson was interested in coming to England. 'I received a call from Bryan King on my mobile.....He wondered how Spurs were getting on in their search for a new coach, and I told him, that they couldn't find the right candidate. "How about Sven-Goran Eriksson?" ventured Bryan. The next day Alan called back and told me that he had consulted with people and Eriksson was not for Spurs." Sugar went on to appoint Christian Gross. Since his time as England team coach, Eriksson's dalliance with club football has been less impressive. His time has passed. Benitez is another manager with vast experience and success in Spain taking Valencia to the title twice as well as winning the UEFA Cup. In six years with Liverpool they were runners-up in the Premier League, won the FA Cup and took the ultimate prize in 2005 - winning the Champions League. His teams are well prepared and were capable of playing attractive football. He seemed to be at his best when preparing for the European competitions, especially when with Liverpool taking them to another Champions League Final in 2007. The pressure of the rivalry with Manchester United seemed to get to him while at Anfield. His time with Inter Milan was less fruitful where he stayed for only a season. He took over from Jose Mourinho and was manager of Inter when they faced Spurs in two memorable games in the Champions League. The master-tactician when faced with the pace of Gareth Bale seemed at a loss as to how to stop him. Having been given fair warning of Bale's ability in the first game at the San Siro as Bale scored a hat-trick, Benitez failed to implement ant special arrangements to curtail his effectiveness in the second match at White Hart Lane. Bale again reigned supreme as chants of 'Taxi for Maicon' rang around the ground during Spurs emphatic and well deserved 3 - 1 victory. Alan Pardew, Frank de Boer and Glenn Hoddle and many others have also been mentioned along with Andre Villas-Boas who left Stamford Bridge in March after a difficult time at Chelsea. After only a couple of days, rumours suggest that Villas-Boas has moved to the head of the vacancy list, to work along with Tim Sherwood as Director of Football. Sherwood, the former Spurs player who was responsible for the Development squad at Spurs under Redknapp is the only member of the senior backroom staff to survive the cull. Kevin Bond, Joe Jordan, Clive Allen and Les Ferdinand have all gone, leaving room for a new team to be appointed. Villas-Boas had an excellent reputation for his work with Porto where his team won the League, Cup and Europa League in his one season in charge. Porto went through the season undefeated and won the title by a twenty point margin. This success attracted Chelsea to the young manager but his time at Stamford Bridge was problematic, where he had difficulties with the players, the owner and the media, eventually losing his post in March. When Juande Ramos came to Tottenham he had an excellent reputation with Seville but it didn't work out in the Premier League. Appointing Villas-Boas would be a huge gamble for Tottenham who are looking to get into the Champions League on a regular basis as well as win trophies. Will he be given the time at White Hart Lane to get his new ideas across, that wasn't afforded to him at Stamford Bridge? The press, opposing fans and supporters will be waiting for any signs of weakness as they did with a previous manager, Christian Gross, and Villas-Boas could find it difficult if he doesn't make an immediate impression as comparisons will be made with his predecessor. Tottenham fans must also be willing to show patience if Villas-Boas were to be the chosen one. Appointing a new manager is one of the most difficult tasks facing any Chairman. The sudden departure of a successful manager makes it even more precarious a task that Daniel Levy has set for himself. that day in 1984 when Chairman, Irving Scholar thought he had reached agreement with Alex Ferguson, the manager of Aberdeen, to take over at White Hart Lane. The management merry-go-round continues at White Hart Lane. After three and a half years (1327 days and 144 Premier League games), Harry Redknapp has been moved on and the search begins to find someone who will be able to take Spurs to the 'next level'. In 1984, Keith Burkinshaw announced that he would be leaving Tottenham at the end of the season. He went on to see Spurs win the UEFA Cup Final against Anderlecht in his final match in charge but the Chairman at the time had the task of finding a suitable replacement. "So who could replace Keith? I had been talking to Alex Ferguson, then managing Aberdeen. These conversations had reached a point of agreeing personal terms, and we shook hands on a deal. However, he had second thoughts about the matter and decided not to accept my offer. Ferguson would have been a good choice. He had managed to break the Glasgow monopoly of Rangers and Celtic and had considerable European experience, having won the Cup Winners' Cup by beating Real Madrid in the Final a short time previously. The way his teams played was also very important: whilst they were winning, they were also entertaining - a vital prerequisite for any Spurs side. He was very intense and totally dedicated, something I found very appealing. He also had a reputation for being a strict disciplinarian; it was a good combination for any manager. Unfortunately, for Spurs, he had a father-son relationship with the Aberdeen Chairman, and I think, on reflection, he felt he would be letting him down if he left." In 1986, Ferguson went to Manchester United and we know the rest. It's interesting to read Scholar's criteria for a Tottenham manager - 'a winning side, playing entertaining football', 'considerable European experience' and 'intense and totally dedicated'. Harry Redknapp is the 24th manager or management team, permanent or temporary, to have taken control of Spurs since that day in 1984 when Irving Scholar thought he had reached agreement with Alex Ferguson. If only Scholar's arrangement had been fulfilled twenty eight years ago, the history of Tottenham Hotspur might be somewhat different or perhaps Daniel Levy should consult Scholar to get his views on the current candidates or better still, does Scholar know a modern day 'Sir Alex Ferguson'. In four months Harry Redknapp has gone from being the hot favourite for the England manager's position to being jobless following his departure from Tottenham. How could things have turned around so quickly? When Harry Redknapp stood on the steps of Southwark Crown Court he was a relieved man having been cleared of all charges of tax evasion. It had been a harrowing thirteen days for him as he juggled his responsibilities at Spurs with attendance at court. All seemed well in his world - he had received the backing of the club throughout the trial and had been shown fantastic support by Spurs fans at White Hart Lane in the match against Wigan Athletic. With Spurs third in the Premier League, seven points ahead of Chelsea in fourth and ten points clear of fifth placed Arsenal, everything looked good. A few hours later, a decision would be made that was to turn his world around and would be part of the reason for his departure from Spurs four months later. At the Football Association headquarters, following a meeting with Fabio Capello, the England manager's position became vacant and Redknapp was immediately installed as the 'people's and media's favourite'. It was well known that Redknapp was keen to take the England position and it seemed to be only a matter of time before he would be approached. There was an out-pouring of emotional support for Harry Redknapp at White Hart Lane as fans put across the message that they didn't want him to leave for the England post. The players responded in kind and Spurs put in one of their best performances of the season against Newcastle United. Spurs were four ahead by half-time with Emmanuel Adebayor creating all of them. He scored the fifth himself and it seemed that everything that Redknapp touched would turn to gold. Following the previous week's euphoria, Spurs landed at Stevenage in the FA Cup with a bump and a scoreless draw. In a less than satisfactory performance Spurs struggled against the Division One side, seeming to have no clear plan of attack, having focused solely on stopping the hard working lower League team. As Redknapp admitted afterwards it wasn't a very good performance to put on his CV in front of the watching David Bernstein, the FA Chairman. At approximately 2.04 pm at the Emirates as Emmanuel Adebayor scored from the penalty spot to give Spurs a two goal advantage in the north London derby, Spurs, in theory, were thirteen points clear of Arsenal and looked set to strengthen their hold on third place and the Champions League qualification that meant so much to the club and had been the number one priority for Harry Redknapp throughout the season. Within nine minutes that had crumbled as Arsenal drew level and Spurs had no second half response as the home team went on to score three more goals. The gap between third and fourth was now down to seven points. Still, there was no decision regarding the England appointment as the Football Association made the apparently sensible option of delaying any announcement until nearer the end of the season to avoid unnecessary disruption at any club. Stuart Pearce took the role on a temporary basis for the friendly against Holland. Redknapp, however, was still regarded as favourite. Spurs went through the month without a Premier League win, losing at home to Manchester United, at Everton and drawing with Stoke City and at Chelsea. In fact the home draw with Stoke saw them drop to fourth, a point behind their near neighbours. Spurs' slump in form took them into a battle for fourth place when in mid-January they had been considered title contenders, only three points behind leaders Manchester City and level with United. The FA Cup now acquired greater significance for Redknapp as he sought silverware to bring to the club. Previously, he had always regarded the Cup competitions as a distraction and often fielded under-strength teams. Stuttering progress was made to the semi-finals where Chelsea awaited. The England position still remained on the cards with only passing mention of any other possible candidates, Roy Hodgson, in the media. It still appeared to be Redknapp's with Tottenham making contingency plans for his departure. Spurs ended their run of defeats with success over Swansea at home - perhaps the team had turned the corner. Arsenal's defeat to QPR the previous weekend had given Spurs a lifeline and they briefly returned to third with a goalless draw at Sunderland but it was a particularly uninspiring performance as they were unable to break down the home side who had been set up to defend in depth and were content with a point from the outset. It was a return to the days when Spurs simply ran out of ideas against a well organised, defensive orientated team. The rumblings of discontent among fans were growing as they despaired at the team's loss of form and the manager's inability to turn it around and then Arsenal defeat Manchester City to reclaim fourth - nothing was going in Spurs' favour at this time. A home defeat to Norwich added to the general gloom around White Hart Lane - these sort of results happen to every team during a season but Spurs were totally outplayed by the visitors who deservedly took the three points. Frustrations were increasing among fans with many venting their anger against the manager on message boards. There was talk of players' meetings to try to sort out the problems and talk of their dissatisfaction with training routines, at lack of preparation and tactics. Another semi-final loss in the FA Cup, another 2 - 5 defeat as Spurs again crumbled to Chelsea who admittedly were aided by the referee's decision to award them the second crucial goal just after half time when the ball hadn't crossed the line. The team that had been lauded earlier in the season for playing the best football since the 'Double' team were a pale shadow for their former selves. Fans' dissatisfaction was growing by the day. Spurs had been provided with another opportunity to close the gap on third as Arsenal lost to Wigan Athletic and then drew with Chelsea but they dropped to fifth after a single goal defeat against relegation threatened QPR as Newcastle United moved above them. It was another poor performance and left fans infuriated at the use of Gareth Bale on the right and Aaron Lennon on the left. It again led to cries of " Gareth Bale - He plays on the left" and "Aaron Lennon - He plays on the right". Even at this stage the press was still predicting that Redknapp would soon be announced as the next England manager. The Football Association announced that Roy Hodgson had been given a four year contract as England manager and that he had been their preferred candidate and the only person who had been interviewed. Redknapp accepted the news graciously, as always, but must have felt great disappointment as he knew it was his last opportunity to manage his country, a position he had set his heart on. Tottenham had been resigned to losing him and some had suggested, even before the FA's announcement, that regardless of what happened over the England position that Redknapp would be leaving Spurs in the summer. Spurs' season had taken a dramatic turn as soon as the departure of Fabio Capello was announced with many feeling that the constant media questions about England had been a distraction for Redknapp. With four matches to go Spurs needed maximum points to have any chance of playing Champions League football next season. They defeated Blackburnn Rovers at the end of April and the win over Bolton Wanderers was a display more akin to their early season form. They then needed to win at Villa Park, their fourth successive match against a team concerned about possible relegation. A win would see Spurs move into third with a Champions League place in their own hands. Spurs were the better team but Aston Villa defended as if their Premier League lives depended on it, which they did. in a rare home attack, Villa went ahead when a shot deflected off William Gallas and looped over Brad Friedel. A goal down at half-time, Spurs then went down to ten men when Danny Rose was sent off. They regrouped to equalise with just under half and hour remaining but Redknapp appeared indecisive on the touchline, looking to bring on Jermain Defoe, then deciding against it and once he knew that Newcastle had lost, he appeared to settle for a point, leaving Spurs dependent on other results going in their favour on the last day of the season. Redknapp's acceptance of a draw against a poor Villa team seemed a very negative approach at such a crucial part of the season, when many other managers would have gone all out for the three points. Spurs won their final match against Fulham but Arsenal defeated Roy Hodgson's West Bromwich, courtesy of two goals gifted by former Tottenham goalkeeper, Marton Fulop. Arsenal claimed third and for this season fourth did not guarantee Spurs Champions League football due to Chelsea's late season revival taking them to the final of this season's competition. Bayern Munich conceded a late equaliser, missed an extra time penalty and as Didier Drogba scored the crucial penalty in the shoot-out Chelsea claimed England's fourth Champions League place as holders, demoting Spurs to the Europa League, a competition for which Redknapp showed such disdain that he consistently sent out weakened teams and regularly talked it down in the press. Spurs' season which at it's mid-point had the potential to become of the most memorable in recent times, had tailed off alarmingly and disappointingly. Redknapp appeared to have lost the support of a section of supporters, there had been talk of disquiet among the players and the Board seemed less than enthusiastic about extending his contract. For some time, Daniel Levy had been in America due to family commitments and there seemed to be little news coming out of White Hart Lane. There were matters to be decided over current and potential players and Harry Redknapp's contract which had only one year to run. It was thought that he had been offered a rolling contract but that didn't satisfy his needs and there were rumours that Chelsea were interested in taking him as manager ahead of Roberto Di Matteo. On the day of the funeral of Daniel Levy's mother, Harry Redknapp made media comments about the need for Tottenham to sort out his contract. He raised the issue of the uncertainty for the players next season, knowing that the manager was in the last year of his contract having previously stated that the speculation over the England position had no effect on players, 'They don't care who's manager'. For the first time, a story appeared in the press that all was not well at Tottenham concerning the manager's contract and the uneasy relationship between manager and Chairman. Discussions were due to take place and if not resolved could lead to Redknapp leaving the club. Following rumours circulating on Twitter that Harry Redknapp had resigned, Redknapp, himself, came out and made a very strong denial that he had resigned having a year to run on his contract, describing such comments as 'scandalous'. The meeting between Harry Redknapp and Daniel Levy did not reach agreement over the contract and news broke that the manager would be leaving Tottenham after three and a half years as manager. Tottenham issued a statement on their website at 3.37am to confirm what everyone already knew by announcing that Harry Redknapp would be leaving his post as manager of Tottenham Hotspur. Many Spurs supporters were not surprised at the developments, aware that it had been a possibility for some time. In the wider football world there was shock that a manager who had twice taken Spurs to fourth in three seasons had been removed. A few hours later, Roy Hodgson who had beaten Redknapp to the England post and whose team's defeat in the final match of the season had seen Spurs miss out on Champions League football, spoke of his disappointment that Redknapp had departed Tottenham. In four short months, Redknapp had gone from potential England manager, a position he openly craved, to an unemployed manager albeit with a handsome severance package to soften the blow. The only question that remains is, Will Harry be back in football before or after Tottenham appoint his replacement? Only time will tell.